Make Your Own Soap, Lotions, Shampoo, Conditioner, Lip Balm & More! High-quality, handmade toiletries and soaps make great gifts. We made these old Shaker style soaps balls and the yellow (mango scent) smelled wonderful! 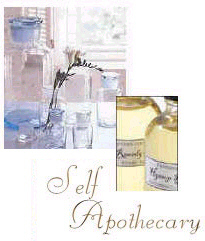 Once you make your own bath products you will notice a remarkable increase in quality along with truly great savings. Then you’ll know why people across America are starting to make their own toiletries. Beautiful bottles such as this classic 1888 milk jug, below, embossed with a cow and the year is perfect for storing your own bubble bath, great for gift giving and can be purchased at Mabel Supply Company. Making your own bath bombs, for instance, is so easy and is basically made up of one part baking soda to one part citric acid, a little cornstarch and fragrance oil. Mabel also sells the hard to find citric acid, any scent you can imagine and pretty bottles in which to package your toiletries. Click here for the free bath bomb recipe in PDF format. Rosemary Foot Bath is another simple decadence to create and is a perfect gift for those who must be on their feet all day long. You basically take apart a silk rose or flower and dip the petals in clear glycerin melt and pour soap. Using tweezers, dip the petal in the melted soap and lay out to dry! Guest would use this petals to wash their hands and discard each one as used. See our new Bathroom Chemist that is not in print yet. Many people ask "what is the difference between this book and Apothecary?" Well, year published is one difference and the second main difference is Apothecary recipes are based upon many ingredients commonly found in the home while The Bathroom Chemist is progressive book that includes all the new concepts, such as "Shampoo Bars" and "Lotion" bars although most formulas do require outside the home purchases such as soap molds. Both books contain the best ideas to create items for gift baskets! Soap that look like Marble or Gems are the newest rage in the melt and pour family and for good reason...they are easy to make and absolutely beautiful! Our Melt and Pour Soaps explains the technique to making soaps that look like gems. For molds shaped like gems, the Mabel White Supply Company now carries a sheet of these molds offering three different gem shaped cavities for only $14.95! Click here to see our new one hour DVD video on how to make bath products that is guaranteed fun for the whole family. This DVD video is the best work we have ever completed. Briefly, the basic technique behind the melt and pour soap gems is to start with a great mold and then use clear glycerin for the most part. A coconut oil melt & pour soap base is what offers the coagulation and "marbleized" look. Gold mica powder is used for the "veins" but can be fairly cost prohibitive. We recommend to just use crushed gold eye shadow if your desperate! This month we have been very into the cold process soap making method and continue to stay fascinated with it. As a tribute to the cold process method we have added a recipe section in our site. Please click here for some of the recipes offered in our great books on Amazon. Shampoo Bars and Lotion Bars are another do-it-yourself break through. They are quickly becoming popular because they are also great for travel and camping, require no bulky bottles. We feature shampoo and lotion bars in our new but not yet published Bathroom Chemist. Based on my book The Self Apothecary, that can be purchased on Amazon, we have been busy making our own shampoo, conditioner, and many other bath products from our test kitchen. We found making your own bath items does produce a much higher quality product than most stores offer and with great savings. When our staff mentioned what we were doing over one weekend, people who barely knew us wanted to come over and play, some even a few thousand miles away! We did have fun and proved most of our points. The primary result was that we CAN make the same great things on our own, if not better than, the nice products we see in the stores. We did have fun and among many things we answered this long standing question: Why do some bath bombs fizz like a dream and some just sit there and appear to do nothing? We found the fizz to be directly related to the amount of citric acid used, and more importantly, what grade! A company up in Montana sent us several grades gratis so we could figure out if cost of a higher grade even mattered. It did. See the photo of our final product to the right. We voted to make Lavender and Mango bath bombs! Become a Mabel Club Member and Save! Click Here for Info! Our absolute claim to fame was the preparation of our own shampoo, conditioner and body lotion poured into old fashioned bottles as shown on the left of this page. The ingredients were by far more superior than store bought and much more economical to make! We did agree apothecary buffs with small children would want to use the plastic versions of the old bottle reproductions for safety reasons. So half of us selected glass to take home and half of us plastic. Shampoo was fragranced with basil and rosemary, conditioner, lavender, and lotion almond oil. Some of the recipes we were testing were actually from our customers. We did note one e-mail describing how to make a relaxing body spray. The recipe did include one cup of vodka! We assumed if the lavender in the spray did not relax you then you just have to drink it! Another favorite of the day was the Peppermint Antibacterial Farmhouse Soap we made for our kitchens. See photo of our final product on right and our French Milled Soap Balls (photo on upper left) just like the Shakers and the Quakers did in the 1800's. Another recipe we used from The Self Apothecary and hands down winner for simplicity was our Vanilla-Buttermilk Bath Salts shown on left an put in a farm house glass jar. Everyone just LOVED their smell and effect. Then we turn to simple soap making. Talk about beautiful, affordable and simple to create! Soap on a rope is the answer! These gems cost under a $1 to make, take only a few minutes to create and sell for $10 in the stores if you can even find them. Melt and pour designer soaps came next. They were very easy to create. Please see photo on right. At our next session we plan to learn the technique to make the new beautiful soap gems that just became popular, Please click thumbnail for a better visual of soap gems. Mabel's 101 Beauty Recipes and Make Your Own Bath Recipes are also useful guides to creating your own health and beauty products. It offers instructions on how to create over 100 products including hair products, (shampoos, conditioners) facial masks and exfoliating creams, massage oils and lotions, bath salts, bubble bath, bath oils, natural dyes for all colors of hair, soaps, and much more! Bath Oil shown on top right. Here are a few ideas! Including bottles with charms! See our new Chinese Take Out Containers for Salts!